Air-conditioned and non air-conditioned busses leave Bangkok's Southern Bus Terminal for Phuket several times daily. Trips by air-conditioned bus, which normally leave in the evening, take about 13 hours. Call 0 2434 7192, 0 2435 1199 or visit for more information. There are also regular bus services (VIP, air-conditioned, and non-air-conditioned) between Phuket and neighboring provinces such as Krabi, Phang Nga, Chumphon, Koh Samui (bus/boat), Nakhon Si Thammarat, Ranong, Surat Thani, Satun, Hat Yai, Takua-Pa, and Trang. Departures are from the Phuket Bus Terminal off Phang Nga Road. For more up-to-date schedules and fares, call Phuket Air-conditioned Bus Station, tel. 0 7621 1977. Flying to Phuket is arguably the easiest way to get to the island. Most domestic airlines operate several flights daily between Phuket and Bangkok, Samui, and Chiang Mai. Some domestic airlines operate flights from Phuket to Surat Thani, Nakhon Si Thammarat, Trang, and Hat Yai. There are also numerous international airlines that fly directly to Phuket from various cities around Asia, including Kuala Lumpur, Hong Kong, Penang, Singapore, and Sydney. Phuket International Airport is located approximately 30 kilometers north of Phuket Town. 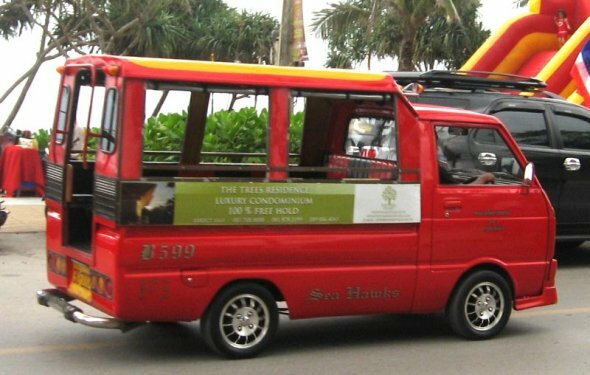 Taxis between Phuket Town and the airport cost approximately 400 baht, but the fares to the beaches range between 500 and 600 baht. Minivans charge approximately 80 baht /person to town, but 120 baht/person to Patong, Kata, and Karon Beaches. Phuket Limousine (tel. 076 248596), located approximately 1 kilometer west of the city, operates hourly shuttles to the airport from 6.30 a.m. to 7.30 p.m.